CEX.IO allows crypto traders to buy bitcoins for low fees via bank transfer or credit card. The exchange site offers four account levels based on user verification, with each level having different buying limits. CEX.IO boasts instant processes for available orders. 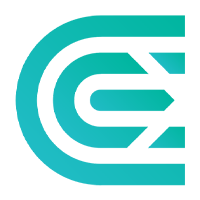 CEX.io is a multi-functional cryptocurrency exchange established in 2013. It is a product of the largest Bitcoin mining pool, GHash.io, and it currently boasts over 300,000 users from across the world. Being a crypto exchange platform, this website trades Gigahashes (GHS) and serves for that primary purpose only. Nevertheless, its goals include improving the current platform for cryptocurrencies and commodities trading and establishing a fair market price for Bitcoin mining power. Unlike the majority of Bitcoin exchanges online, CEX.io caters to two markets: cryptocurrency and mining. 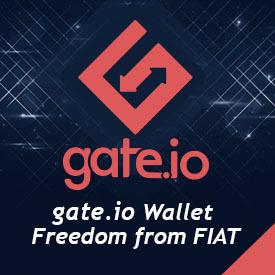 Therefore, its platform enables trades for various pairs unique to this brand. For instance, aside from the usual LTC/BTC duo, pairs of NMC/BTC, IXC/BTC, GHS/BTC, and GHS/NMC are also available here. Aside from the fact that altcoins can also be traded on this site, Bitcoin mining facilities like GHS also holds value as it gets traded among users. However, it should be noted that GHS may only be traded among GHS owners and CEX partners and that this brand does not sell or buy its own GHS. Granted that some users will want to quit mining, they may opt to trade their GHS and begin a new cycle for the asset. With the cloud mining offered on this site, registered users have the privilege to trade GHS while mining bitcoins. However, unlike the typical mining process that takes place in a house or an establishment, this platform enables users to mine bitcoins in the cloud, together with groups or pools of miners. Aside from BTC, altcoins like NMC, IXC, and DVC can also be mined. Through the GHS tradable on the platform, users can easily switch to cloud mining without exerting too much effort and spending less time. Joining CEX.io proves to be worth it, thanks to the generous referral program that awards bonus values to potentially all members. This system works when a user successfully refers a friend to this site. If so, 3% of the GHS balance of the referred user will be added to the member’s bonus account. However, it should be clear that the free GHS cannot be traded. Instead, it will only increase the mining power. Since you, for example, received the 3% GHS of your friends balance, you will experience a bump in the speed at which bitcoins may be mined. However, if your friend decides to sell his or her GHS, this will reflect on your bonus GHS balance. Security has and will always be an issue for every single platform operating online, not forgetting the Bitcoin business that are becoming major targets of scammer and hackers alike. Fortunately for this brand, another layer of protection is provided. Users may enable two-factor authentication, a two-step verification process that requires users to enter the six-digit code or pin generated on the smartphone aside from inputting the correct username and password. This system uses the Google Authenticator app. All interested bitcoiners are guaranteed to breeze through the signup process since it should not take any longer than a few minutes to finish. After all, it only asks for a working, valid email address, username and password, and a security question with an answer. Since this platform is an offshoot of GHash.io, registering for the crypto exchange platform also merits an account in the mining pool. After registering, what you need to do next is to fund your account with USD or cryptocurrency to begin buying GHS and then receive earnings from mining right away. Innovative and professional are perhaps the two words that would pop into one’shead upon learning about the services forwarded by CEX.io. It is absolutely one of a kind, and it stays true for being ‘the leading Bitcoin exchange and the first cloud mining service’. Those considering of venturing into Bitcoin mining should definitely consider joining this platform and engage in cloud mining. After all, not only will it be more convenient, but it will also save power consumption and spare you from the noise pollution normally experienced when mining at home, among others.